I would have to say that a good 75% of my patients/clients really struggle with getting in some protein in the morning. Well, among other things, it is more slowly digested than carbohydrates so it can help to stabilize your blood sugars, and keep you fuller, longer. This spread is a great alternative to peanut butter on your toast! I know many many people who have an aversion per say to cottage cheese. Texture maybe? This pureed version is delicious without the texture, and no added sugar either! Combine both ingredients in a small food processor. Mix until a puree is formed. Spread on crackers or toast! I had the blessing this past week to spend five days with my family in Iowa. It was a great trip and my wee one is a pro at air travel. But, as with many vacations, we had travel difficulties. Two flight cancellations later, we found ourselves in the Des Moines airport for a lot longer than expected (Chicago O'Hare was closed for two days). At one point, all of the airport restaurants closed (at 8pm) and the small shop there was in the process of closing. We were among many many stranded travelers and people were purchasing snacks right and left, because no one really knew when, or if, their flights would be leaving that evening (it's super interesting to observe people's actions when they don't know when their next meal is going to be- but that's another topic). The choices were not great. Especially for a toddler. And I was unprepared. We survived. We made it home. But the experience made me even more aware of the challenges of eating healthfully while traveling. Don't rely on airports, or stops along your drive, to have the healthy choices. Yes, liquids can't make it past security in your carry-ons, but food can! That's right- you can pack your own fruits, veggies, and even sandwiches and such! If you are traveling by car, pack a cooler with fresh foods and healthy choices. Good choices include apples, oranges, bananas, grapes, nuts, carrots and celery sticks, tuna fish packets, oatmeal bowls, hummus, olives, cheese sticks, and peanut butter. Tis the age of the smartphone. And thank goodness in times when you are unfamiliar with your surroundings. Many times you can look at a restaurant's menu and make a healthy choice prior to even entering the building. Check out this list of apps to help you find a restaurant near you! And don't forget about grocery stores! They are great places to find a quick, healthy meal. - Always assume that a restaurant meal has more calories (and sodium) then the same meal would have if you made it at home. - Share a meal with someone to decrease your portion size. Or have half of your meal boxed up before it even reaches your table. - Once you have a healthy choice in mind, order before anyone else at your table does! Others' choices may influence you to order something else. Stick to your guns! - Ask (politely) for healthy substitutions. Don't be afraid to ask for things not on the menu. Most restaurants will have fresh fruit and vegetables. Ask how things are prepared. Don't feel like you are being a burden. Trust me- they have dealt with more difficult customers than you. What other travel tips do you use? This week is National Women's Health Week! I was asked by the Mesothelioma Cancer Alliance to share some information with you about this disease. When it comes to cancer, there are quite a few unknowns. 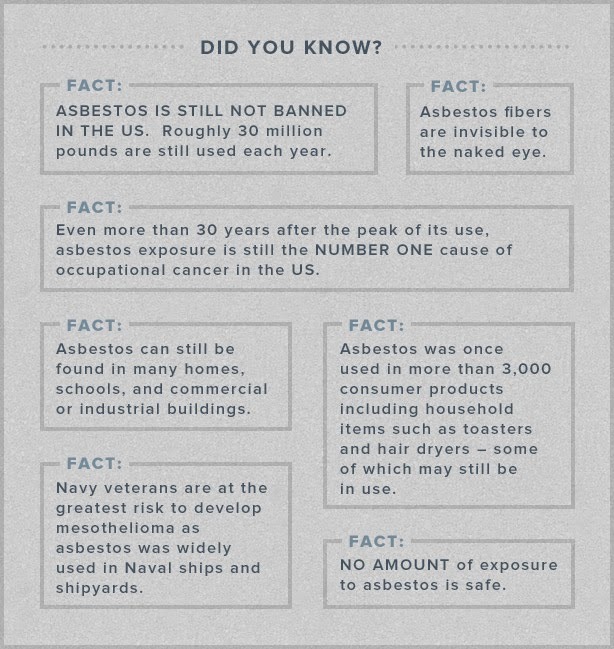 But what we DO know is is that mesothelioma is a completely preventable cancer (caused only by asbestos exposure), knowing more about the disease and its risk factors truly does make a difference towards protecting yourself. Take a look at this link for more information on mesothelioma and women. Chia seeds are so versatile! Mix a few of those little suckers with a liquid and you have instant gelatin, no animal by-products required! And to boot they are great sources of omega-3 fatty acids and some claim that they help ease digestion. These are perfect little treats for your summer evening! Whisk together sugar and cocoa powder, then add in chia seeds and mint. Mix in vanilla milk and allow to sit for 10 minutes. Whisk again, then taste. Add in mint extract if desired. Cover and refrigerate for 30 minutes. Whisk and return to refrigerator for additional 6o minutes. Whisk again, then spoon mixture into popsicle molds, filling nearly to the top. Yes, it's a mouthful. And, yes, your mouth will be full because you won't be able to stop eating this one! Strawberrry shortcake is a traditional lighter (lower in calories and fat that is) dessert. So how do you health-ify it? You use less of the not-so-good stuff (ie: sugar-laden angel food cake) and add in some healthier stuff (ie: protein-rich Greek yogurt). This is a fun twist on a yummy dessert that will be perfect for your Mother's Day brunch/lunch/dinner! To make salad: Toss strawberries and mint together in a large bowl. In a smaller bowl, using a mixer, whip whipping cream until stiff peaks form (tip: use a cold metal bowl and cold beaters). Mix in Greek yogurt and honey until combined. Spoon yogurt mixture over strawberries and mint and fold to coat. Cover bowl and place in refrigerator for 30 minutes prior to serving. To make croutons: Preheat oven to 350 degrees. Place angel food cake cubes onto a baking sheet lined with parchment paper. Bake for 7-8 minutes, flipping halfway through cooking. Remove from oven and allow to cool for 10 minutes prior to serving on top of salad! To serve: Spoon ~1 cup strawberry salad into a bowl and top with 1/4 cup croutons. Enjoy! Happy Cinco de Mayo! In honor of this fantastic holiday I am reposting my delicious Strawberry Beergaritas! Enjoy! This is a yummy twist on my classic, Cervezagaritas. Try them both! The best part about them is the beer. I am not a big beer drinker, but in this recipe it helps chill out some of the sweetness that can overpower a margarita. In a blender, combine limeade, strawberries, and tequila. Puree until smooth, then transfer to a pitcher and refrigerate for 2 hours. To serve, pour 6 oz limeade mixture into a 16 oz glass half-filled with ice. Top with 6 oz beer and stir gently to mix.